Most people are aware of the famous Full Moon Parties held on the Thai island of Koh Phangan. On the night of every full Moon, Haad Rin turns into a massive all night beach party, full of bright neon colours and incredible fire displays. Don’t despair if your trip doesn’t coincide with a Full Moon. There are other awesome variations of these wild parties, from Half Moon to Black Moon, on Koh Phangan throughout every month, so you can usually catch one during your stay. Although copycat versions are now held all over the world, nothing comes even remotely close to the original! 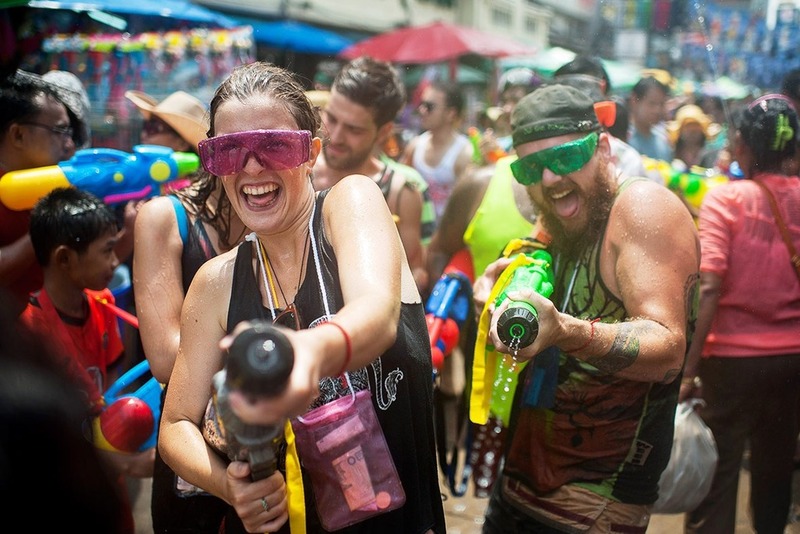 The 13th of April is the start of Thai New Year, and every year the country shuts down to have a massive water fight! The water symbolizes the cleansing and washing away of sins and bad luck within Thai culture. Major roads are closed and both locals and tourists take part in the water festival. Armed with water guns, balloons, buckets and brightly coloured shirts, it’s a day of good old-fashioned fun and celebration! 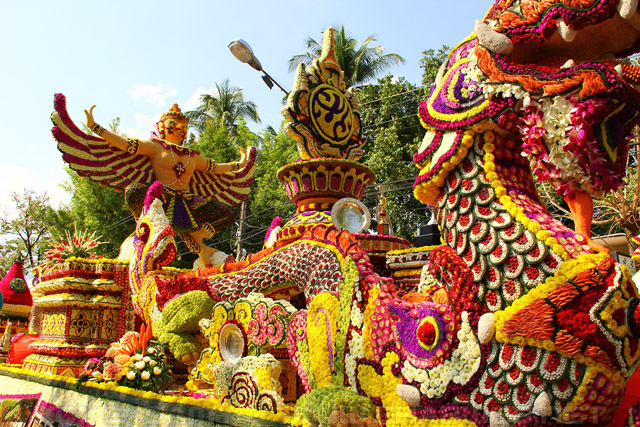 One of the lesser-known festivals in Thailand, the Chiang Mai Flower Festival takes place in February. A Parade, flower stalls, dancers and music flood the streets during this beautiful and unique festival. It’s another captivating example of Thailand’s rich, charming culture and shouldn’t be missed if you’re in Thailand when it’s on! In Buddhist culture, lanterns represent the move from darkness into light and the idea of a brighter future. 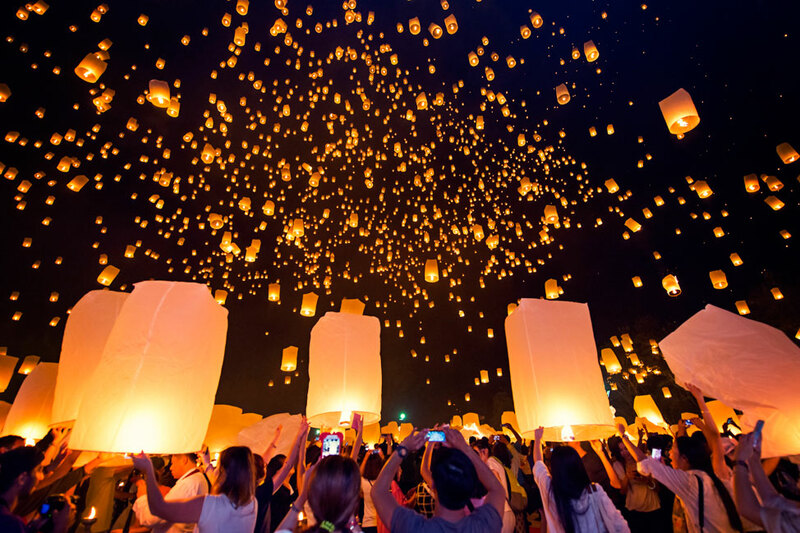 There are two major Festivals of Light in Thailand; Loy Krathong (floating lanterns on water), which takes place all over Thailand and Yi Peng (sky lanterns), which mostly takes place in Chang Mai. The exact dates change each year as they’re timed around the Thai Lunar Calendar, but they usually fall around the end of November and will be within a few days of each other. These spectacular displays of light are definitely worth planning your trip around! Want to travel Thailand but don't know where to begin? 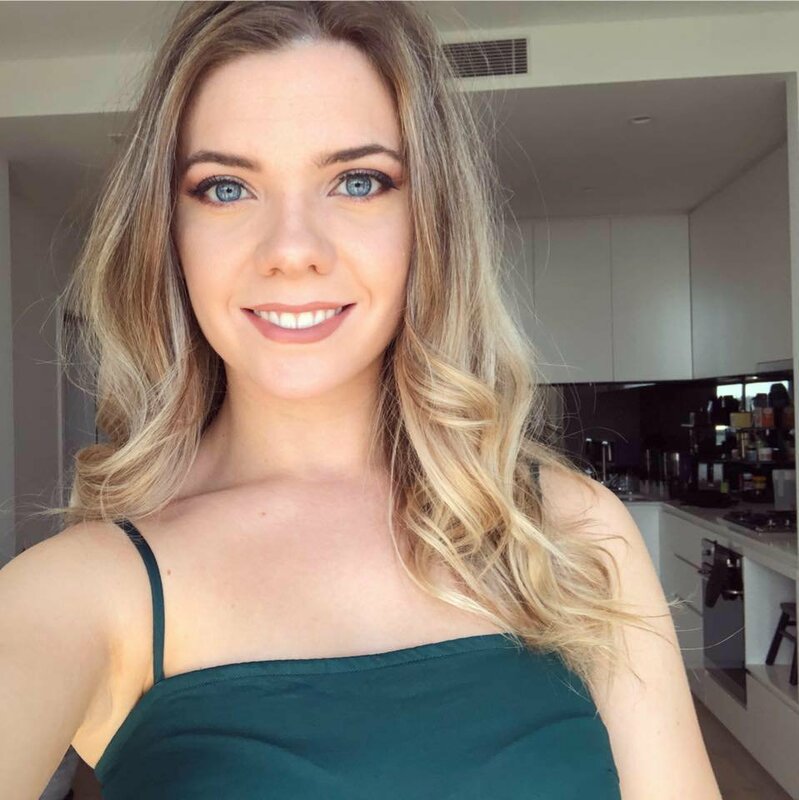 Click here to start your adventure!